Another Chamber service is the Sheridan County online community calendar – found on this Chamber website and on the Sheridan Media and Sheridan Travel and Tourism websites. The entries are also picked up in the weekend Sheridan Press and the weekly Country Bounty. 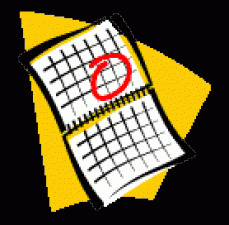 Tips in using the calendar: If you only want to see the events (and not the regular meetings of organizations), just click on Community Events at the top of the calendar – that will get you just the “events.” To get more detail for any entry, click on the specific item itself.